In a Silicon Valley park, burrowing owls are dying and disappearing. Public records and a bit of snooping uncovered a path that led to Google and its cat-loving employees. A few burrowing owls live in this 750-acre wildlife and recreation area, deep in the grass. As the breeding season begins, they are among perhaps 50 left in Silicon Valley. 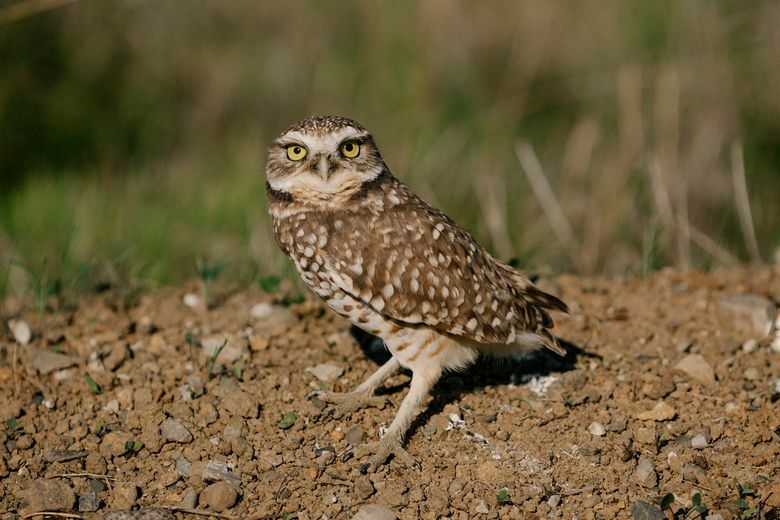 A California species of “special concern,” burrowing owls nest in the ground. That makes them especially vulnerable. Environmentalists have been alarmed for a long time about the number of cats at Shoreline, but they could not determine where they were coming from. Gradually, public-records requests and old-fashioned snooping uncovered a trail. It led southwest from the sun-burnished slopes of the park, up Permanente Creek and into the ever-expanding empire of Google. Google never set out to threaten biodiversity in its front yard. Like so many stories these days about Big Tech, this is a tale about how attempts to do good often produce unexpected consequences, and how even smart people (especially, perhaps, smart people) can be reluctant to rethink their convictions. At Google, it is not so much that workers do not like birds as it is that they really love cats. There is an employee group called GCat Rescue that traps the cats around the Googleplex. Kittens and friendly adults are put up for adoption. Less-friendly adult cats are neutered and released. The process of trap, neuter and return is popular with cat lovers across the country. Those less enamored of felines say it is merely an excuse for feeding feral cats rather than euthanizing them. Estimates of the number of feral cats in the United States range from 30 million to 80 million. Travis Longcore, lead author of a 2009 paper in the journal Conservation Biology that was critical of trap, neuter and return, said the information on the GCat Rescue website was wrong. Emails to GCat Rescue at meow@google.com were not answered. A Google spokeswoman said the GCat group was made up of fewer than 10 people, but otherwise declined to discuss it. “They told us it was something their employees were doing and they couldn’t interfere,” said Eileen McLaughlin, a board member with a group trying to protect and expand the San Francisco Bay National Wildlife Refuge. She and the Santa Clara Valley Audubon Society asked Google to remove the cat-feeding stations in 2012. Cats have stalked birds forever, but in Shoreline Park, a final victory is at hand. Google is not the only company with a cat colony. If employees are not providing the food, cat lovers from the community take up the task. 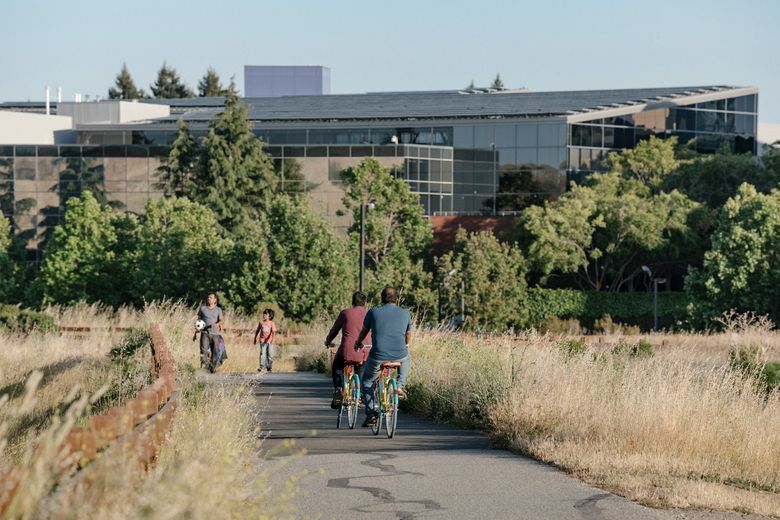 McLaughlin recently offered a tour of the sprawling Google campus from a cat’s point of view. In a patch of trash-strewn woods next to a parking lot, there was a worn but elaborate feeding station, with straw beds for sleepy cats. A sign identified it as a GCat venture. A feeding station on the other side of campus was on the edge of Shoreline, next to a designated owl-nesting area. A third station, hidden in the underbrush, was mere feet from a park entrance for walkers and bikers. A fourth station was in a parking lot. Late last year, McLaughlin submitted a public-records request to Mountain View. Unlike earlier requests, this one was revelatory. It showed city employees discussing how they were trapping Google-chipped cats in the park. The city’s wildlife-preservation biologist said he was worried about the cats’ “significant impacts” on protected species, “especially burrowing owls.” One of the cats was trapped, turned over to the Silicon Valley Animal Control Authority, released to Google, trapped again in the park and released again to Google. In August, it was found dead in the park.